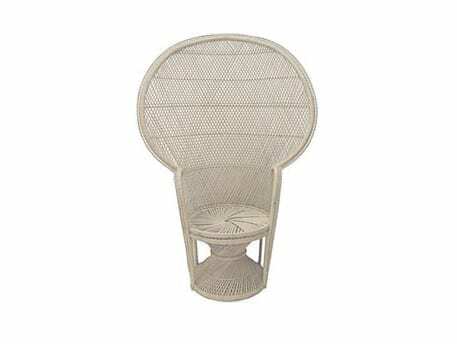 Brown rattan chair with ivory cushions. Part of a collection. Two together form a love seat, add an armless chair to make a sofa.